There are many decisions to make when it comes to putting a new vehicle in your driveway. Along with narrowing down the make and model that you desire, you have to decide whether leasing or buying the vehicle is the best option for you and your budget. You rely on your car to get you to and from work, weekend activities, and more, so it’s important to make sure you find a vehicle that fits your specific needs and a financing plan that fits your lifestyle. There are a number of differences between buying and leasing a vehicle, and each option has its own set of pros and cons. At Porsche Riverside, we’ve enlisted the help of the experts in our finance department to provide you with the benefits and drawbacks of each, so you can narrow down whether to lease or finance a Porsche at our dealership. It all comes down to what you need from your vehicle, and the type of driving that you plan on doing. If you won’t be putting much mileage on the vehicle, getting a Porsche lease from our Los Angeles area dealership may be the best option for you. Think of a lease as a long-term rental. You’ll have to keep the car in top shape, but after about three years, you can get behind the wheel of an even newer Porsche model. If customizing your vehicle to fit your specific needs and desires is more of what you’re interested in or if you’re a high-mileage driver, your best bet is to purchase the vehicle outright. By opting to purchase the car, you can even help out your own credit score. If you’re still unsure or have some questions that haven’t been answered, the friendly and knowledgeable staff at our finance department is available to help. 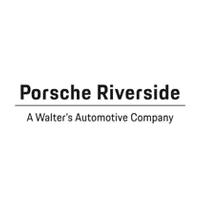 For more information or to get your car-buying or leasing process started, contact Porsche Riverside serving the greater Los Angeles area at (888) 536-5618.